A short introduction to Sail Cruising for complete beginners. By the end of the course you will have experienced steering a yacht, sail handling, rope work and be aware of safety aboard. Introduction to the parts of a yacht, nautical terms, ropework, basic sailing skills, the rules of the road, man overboard recovery, clothing and equipment, emergency equipment and precautions. Minimum age: None (although students should be large enough to use yacht’s equipment). Method of assessment: Continual assessment by your Instructor, no test or exam. 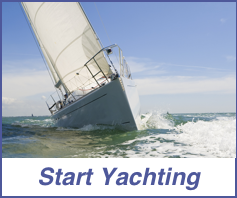 Holders of the Start Yachting certificate can go on to complete the Competent Crew course in a reduced time of three days or two weekends. Price includes all tuition, snacks whilst aboard, fuel, mooring fees, use of wet weather gear, and Greek VAT at the appropriate rate. Please note accommodation is not included.